The New Orleans suburbs are fast becoming some of the most sought-after neighborhoods in the region. Offering close proximity to downtown New Orleans for work and play, the suburban area of River Ridge, Elmwood and Harahan are that perfect mix of convenience and quiet you simply won’t find in the city. What’s more, apartments in River Ridge offer you space and luxury amenities like a pool, on-site dog park, gym, and much more. Our Bella Ridge property, for example, is in the heart of River Ridge and boasts perks like a covered parking garage. Are you new to River Ridge, Louisiana? 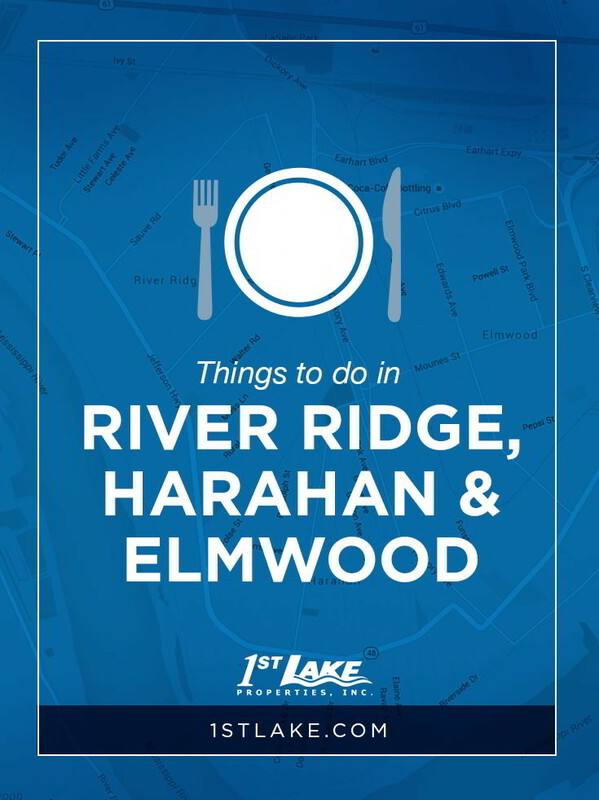 Whether you’ve just moved or are considering taking the plunge, explore a few of the things to do in River Ridge, Harahan and Elmwood. The AMC Elmwood Palace movie theater in Elmwood offers 20 screens, including a full IMAX experience. In true New Orleans style, this movie theater also features a full-service bar, making it a great place for date night. Sports fans will love living so close to Zephyr Field. The local minor league baseball team hosts plenty of special events and promotions throughout the year, such as Military Night, Star Wars Night, Japanese Heritage Night, Italian Night and even a Luau themed event! Adventure Quest Laser Tag offers a variety of fun indoor activities for groups of any age. In addition to laser tag, they also offer bumper cars, cosmic golf, an adventure maze and an arcade. Look for their weekly specials and check out their membership option for extra savings. This locally-owned bowling alley features 24 wooden lanes and a laidback atmosphere. Colonial Bowling offers a variety of league bowling as well as group rates and parties. Need a break from bowling? Just head to their gameroom for arcade style games, or visit their Lamplighter Lounge for cocktails. Nearby Lafreniere Park offers 155 acres of outdoor fun, including a 2-mile jogging trail, 18-hole disc golf course, two playgrounds and a 20-acre lagoon. It’s the perfect place to get away from it all with a good book and a picnic. New Orleans is of course known for its great seafood, and the suburbs like Harahan are no exception. Seither’s Seafood is one of the top-rated locally-owned restaurants in this neck of the woods, and for good reason. Enjoy classic Southern dishes like shrimp po-boys, gumbo, crawfish, fried green tomatoes and raw oysters. Phil’s Grill offers multiple locations throughout the greater New Orleans area, including one in Harahan. Customize your burger as you choose your perfect protein (options range from the traditional like Angus beef to vegetarian options like Portobello mushroom to exotic like bison or alligator). Opt for your favorite bun and toppings or skip the carbs and choose a lettuce bun or turn your meal into a salad. A local’s favorite, this hidden gem is located in the heart of Harahan and features delicious daily specials as well as staple salads, sandwiches and wraps. Entree options include pecan crusted red fish, chicken marsala pasta and portabello stuffed ravioli. Specializing in Mediterranean flavors with a Southern twist, Zoe’s Kitchen is your ideal destination for healthful dishes like grilled chicken kebabs, veggie pita pizza, orzo soup, Greek salads, and much more. They offer a menu for those with food allergies (several items are gluten-free or vegetarian) plus a menu called “Simply 500” where all items clock in at fewer than 500 calories. Not counting calories? Finish the meal with a slice of their YaYa’s Hand-Made Chocolate Cake. This local pizza chain is a regular winner of foodie awards, including most recently a Gambit Best of New Orleans Award for best pizza, and a New Orleans Magazine Tops of the Town nod. In addition to a comprehensive wine and beer list, Theo’s main draw is its pizza. Unexpected toppings like yellow squash, Anaheim peppers, goat cheese, and jalapenos make Theo’s a step up from your basic Margherita. Build your own pizza or choose from their own creative specialties. Salads, sandwiches, and appetizers are also available. Noted for its consistently fresh and delicious sushi, Kyoto 2 is the Elmwood/River Ridge outpost of its Uptown New Orleans location. We go crazy for the poke salad or the ponzu-topped ceviche. Kyoto 2 also gets points for creative sushi names: order the No Name, Tiger Eyes, or Funky Margarita rolls on your next visit. Sometimes you just need a burger and fries. Skip the typical drive-through options and head to Five Guys Burgers and Fries instead. At Five Guys, handcrafted burgers and real, handmade fries are just a dollar or two pricier than a drive-through and infinitely more delicious. Choose as many free toppings as you want (may we suggest the grilled mushrooms…) and try the fries Cajun style for an extra kick of heat. Comfort food classics with a Francophile spin are the order d’jour at La Madeleine. Quiche Florentine is the perfect meal for breakfast, lunch, or dinner, and if you’re unsure what to order – well, they have an on-site bakery. Specialty coffees and a selection of wine are available; so, too, are traditional French classics like Croque Monsieur, Quiche Lorraine, and flaky Spinach Pochette. Frozen yogurt is that perfect blend of tart and sweet that really hits the spot on a warm day. Pinkberry, an international chain, is known for its inventive flavors and options for people with food allergies. For example, their dairy-free mango frozen yogurt has bright, tropical flavors without any gluten, dairy, or added sugar. Shopping is as easy as it is fun in River Ridge. Convenient shopping centers like Elmwood Shopping Center on Clearview Parkway pack a punch, while local boutiques offer unique finds. This locally-owned fashion boutique is located in the heart of River Ridge and features trendy women’s clothing, shoes and accessories at affordable prices. Be sure to check out their sale rack for unbeatable deals. Ulta is the ultimate high-low mix when it comes to cosmetics. Shoppers will delight at department store beauty brands like Bare Minerals, Tarte, and Benefit right alongside drugstore favorites like Covergirl and Almay. Check their website before you go: there’s almost always a sale and a coupon you can print or download. Designer Shoe Warehouse (DSW for short) has shoes for the whole family. With hundreds of pairs in stock, DSW offers a wide variety of styles, sizes, and prices. It’s the go-to spot for shoes whether you need a formal pair for a wedding, classic work pumps, or vacation-ready sandals. Have you ever noticed how accessories can change the whole look of your outfit? That’s the ethos behind Charming Charlie, a sprawling accessories store with affordable jewelry that ranges from bohemian-chic to preppy. Hair accessories, purses, phone cases, and select styles of shoes are also in store. All you need to do is add your favorite outfit! In addition to furniture and other housewares, World Market features an international grocery store where you can find global favorites like Milka chocolate bars from Germany, Australian vegemite, and Britain’s favorite topper, HP Sauce. Need more shopping options? Lakeside Mall in Metairie and Esplanade Mall in Kenner are both within just a few miles of River Ridge and the boutiques in downtown New Orleans, such as The Shops At Canal Place, are just 15 minutes away. This annual festival in Harahan celebrates everyone’s favorite Southern nut, the pecan, with plenty of food options including pecan pepper jelly, pecan pralines, pecan pies and much more. The weekend-long event takes place each November and features live music and fun activities for all ages. Jefferson Parish residents, what are YOUR favorite things to do in the neighborhoods of River Ridge, Harahan and Elmwood? 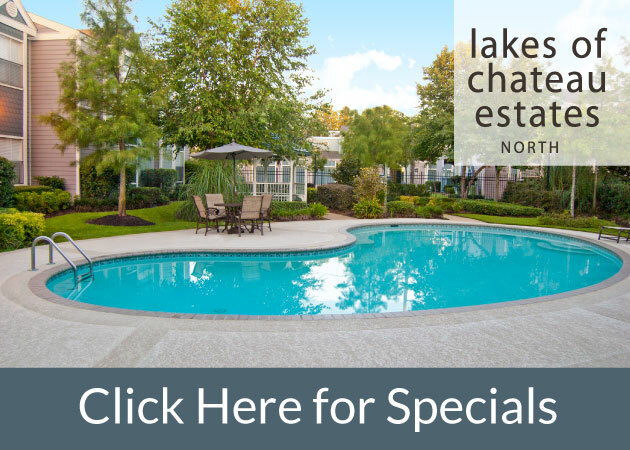 If you live in one of our River Ridge apartments, be sure to join us on Facebook or Twitter and let us know your favorite neighborhood spots!